USA golfer’s great praise for the golf course at Adare Manor. Pat Perez, a three time winner on the PGA tour visited Adare Manor Hotel and Golf Resort prior to playing in the Open at Carnoustie and he was very impressed by the quality of the course when he played it for the very first time. It is hoped to host the Ryder Cup in Adare in 2026. 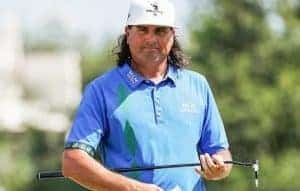 42-year-old Pat Perez, whose wins on the PGA Tour include the CIMB Classic said about Adare Manor on an interview with Sky Sports: “It was unbelievable. I hear it might be the site of the Ryder Cup. I think the last five holes would be unbelievable for the Ryder Cup.